It can be really hard to tell one bird from another, especially when it comes to the types of black birds. There are so many all around the world, so things tend to get confusing. Black species are really fascinating, so if you are a bird-obsessive, you will definitely want to learn more about them. They can vary from sizes to signature characteristics. If you want to find out how to recognize and make a distinction between various black bird types, make sure to finish reading this short guide. If you love black birds, you’ll like these birds with only black heads too. European starling is a part of the medium-sized black bird that belongs to the family Sturnidae. Distinctive Identification Characteristics: This is a middle-sized bird with the most stunning color range ever. 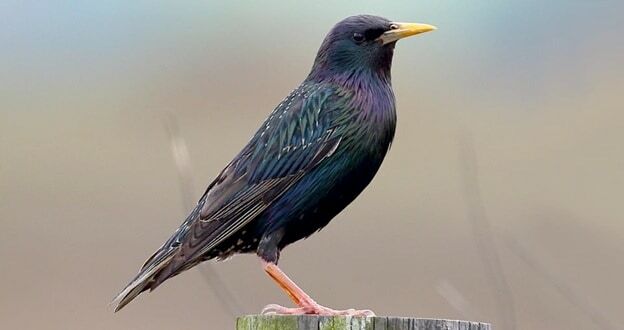 The European starling has a fabulous black metallic, shiny hue on the plumage. As if that wasn’t enough, the rest of their body includes a number of other iridescent shades including green, purple, grey and more. Facts: A very interesting fact is that this bird species has the ability to imitate sounds emitted from other creatures or things that surround them. The beautiful boat-tailed grackle is a medium-sized bird that comes from the Icteridae family. Mostly Seen: America (East Coast, especially Florida). Distinctive Identification Characteristics: Black bird types with iridescent shine are among the most beautiful ones in the world. 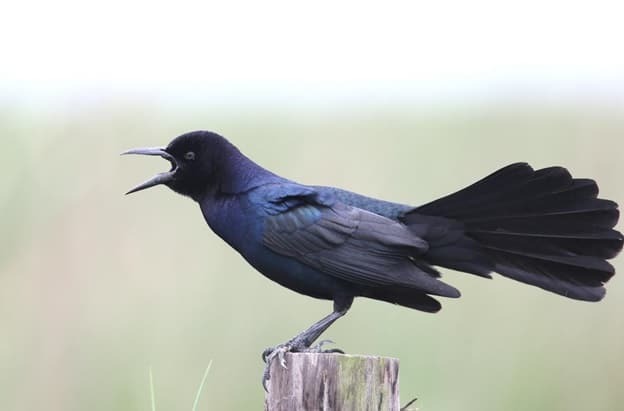 The boat-tailed grackle grows up to 43 cm in length. They have a very dark black color with a glass-like effect all over. 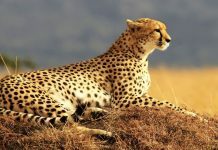 Males tend to have a very long tail, which is also in a V shape. The black shade is mixed with rich purple tones on the sides and on the head. 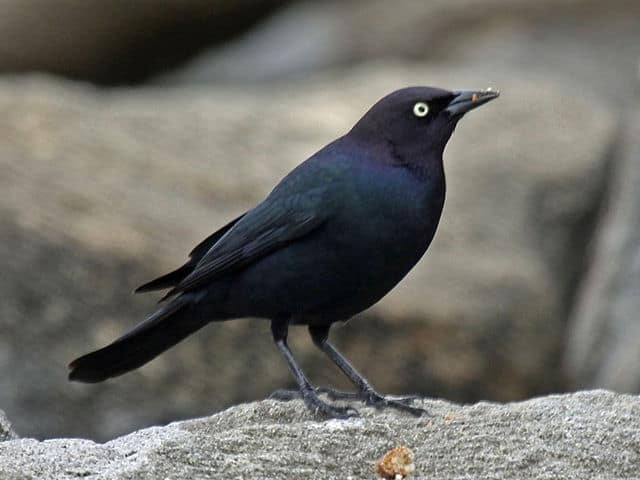 Facts: Females grow up to be half the size of boat-tailored grackle males. They are not afraid of people and noisy locations at all. In fact, you can notice them very close to beach towns on the southeastern USA coast. It is a bird from the family of Icteridae that loves inhabiting lively areas such as parks and also get in touch with birdfeeders. Mostly Seen: Western and central parts of North America. Distinctive Identification Characteristics: Another one of the unique types of black birds. Euphagus Cyanocephalus has a very interesting glossy, metallic-like black color. The bird looks like a holographic species with added hints of dark green, blue and purple. Facts: Brewer’s blackbirds are very sociable. In other words, they often team up with many of their own, creating whole families of over 100. The females are the ones who choose a nesting location. The stunning red-winged blackbirds are among the most common birds in North America and belong to the Icteridae family. Mostly Seen: North America (Florida, Alaska, Pennsylvania, British Columbia), Central America (Mexico, Guatemala, Honduras, El Salvador, Costa Rica). 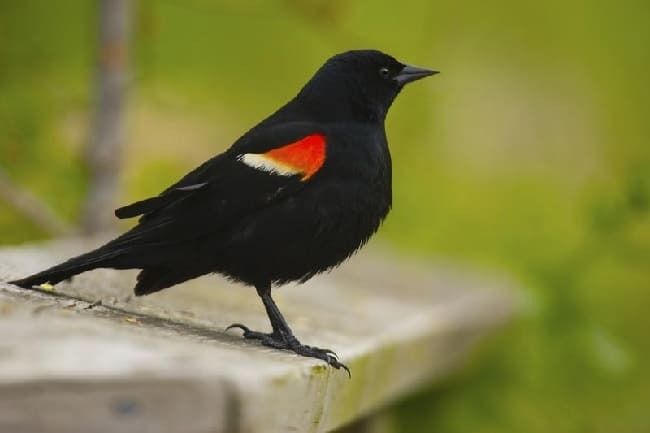 Distinctive Identification Characteristics: Red-winged black bird grows up to 18 cm in length. It is completely covered with black feathers and decorated with a vibrant red and yellow part on the wings. Those parts are called epaulets and become very eye-catching when the blackbird is flying. Facts: Red-winged blackbirds are huge lovers. A single male can have over 10 different female companions. 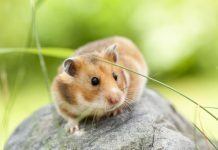 They are also very defensive and tend to keep their territory safe without any intruders. The yellow-headed blackbird is a medium-sized species from the Icteridae family and the only member in the genus Xanthocephalus. Mostly Seen: North America (Arizona, California, Colorado River Valley, San Joaquin Valley). Distinctive Identification Characteristics: Their most noticeable characteristic is definitely the eye-catching yellow head and parts of the breasts. 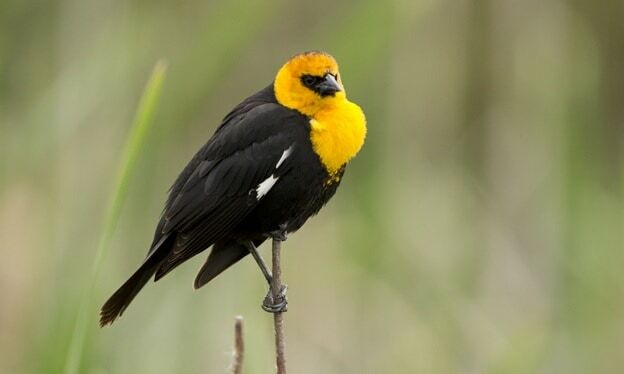 The rest of the yellow-headed blackbird is colored in black. You can also see a white patch on their wings. These birds grow up to 26 cm in length. Facts: These type of black bird tend to create nests right above the water, and can attract a large number of females to be a part of their nesting community. If by any chance the nest falls into the water, the baby birds will have to swim to get to the land. 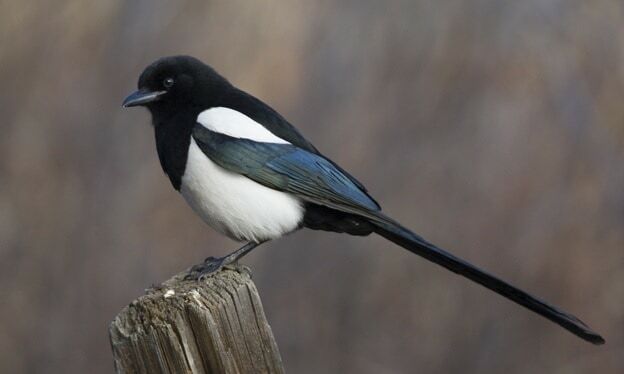 Also known as an American magpie, this species belongs to the family Corvidae. Mostly Seen: These birds are mostly present in Canada, North, and parts of Central America. You will often see them in Colorado, Idaho, Utah, Minnesota, Wyoming, British Columbia, Manitoba, New Mexico and more. Distinctive Identification Characteristics: The gorgeous black-billed magpies are large in size and can grow up to 60 cm in length. 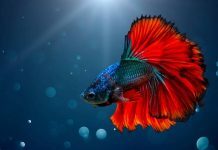 They all feature a very long tail that is in a black color. They are almost completely covered with black feathers, except white on the shoulders and on their belly. The most alluring about this black bird type is their stunning shiny dark blue finish on the wings. Facts: Black-billed magpies are obsessed with building the perfect nest. Scientists showed that they spend up to 40 days in constructing a home for them, the females and the nestlings. All that done by only spending 4% of their daily energy. One of the most common types of blackbirds we all know is the American Crows. They are commonly seen large, smart birds from the Corvidae family. 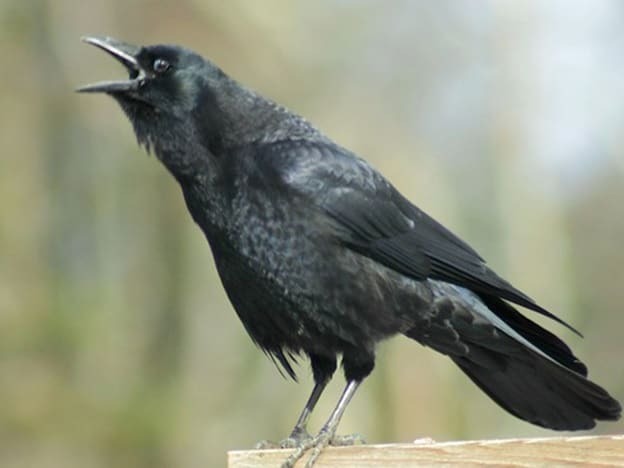 Mostly Seen: The American crow is a very common bird seen throughout most of the North American countries. Distinctive Identification Characteristics: This black bird is large in size, with growth up to 53 cm in length. They have a fascinating iridescent black color all over. It is a completely black species, with the same color on their bill and legs. Facts: When winter comes, the crows tend to sleep in groups or roosts. It can be a roost of several hundred, while some can reach up to a million birds at the same time. They don’t breed until they reach at least two years. Some choose to start mating at a much older age. The common raven is also known as a northern raven is a large type of black bird species from the Corvidae family. 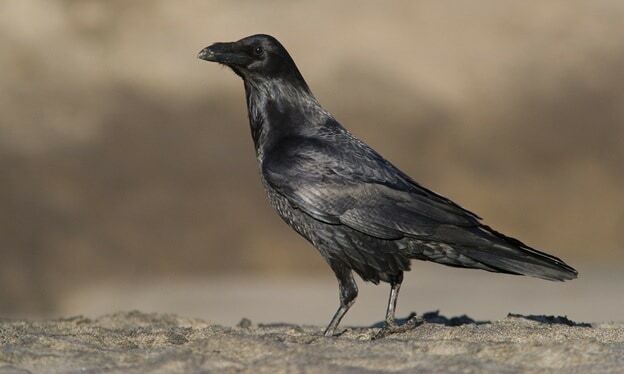 Mostly Seen: The common raven can actually be seen anywhere in the world. The most common distribution sites are Europe, Asia, North America, and North Africa. Distinctive Identification Characteristics: Common ravens are completely black, from head to their feet. These are large birds that can grow up to 67 cm in length. Facts: This is a very smart black bird species that is also a very good acrobat. They often team up to get exactly what they want and grab their prey. You can see them flying and doing amazing stuff high up in the sky. Raves are very good flyers and can go quite the mile while flying upside down. Black swifts are small mysterious birds from the Apodidae family. Mostly Seen: They can be seen in several different countries, including Canada, Brazil, Mexico, Costa Rica, and the United States. Distinctive Identification Characteristics: They are medium-sized birds that grow up to 18 cm in length. As the name suggests, this species has a black color with grey undertones. The plumage is in a darker grey shade. Their wings are long and curved. You can easily recognize them by the white spots on the sides of the forehead. Another standout characteristic is the very small beak and legs. Facts: Not much is known about black swifts. That is in fact why they are also called mysterious birds. This species was discovered in 1901 and tends to keep a very low profile. Each season they deliver only one single baby swift. They tend to hide in wet environments. 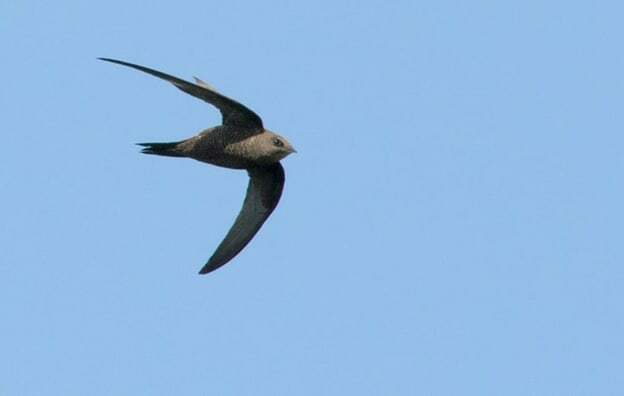 Black swift’s favorite living location is somewhere in a waterfall or near the ocean. The population of swifts is significantly lower. According to research, the world has lost 90% of these birds compared to their number in 1970. This is a large type of black bird species that is the only one in the genus Elanoides and a part of the Accipitridae family. Mostly Seen: Southeastern parts of the United States (Florida, South Carolina, Minnesota), Peru, Argentina. Distinctive Identification Characteristics: They have a fabulous black and white contrast, which you will recognize right away. The head, belly, and underparts of the wings are in a white color. The rest is colored in a shiny black shade. Their wings are very long, pointed, as well as the tail. This type of black birds grows up to 68 cm in length. Facts: Currently the swallow-tailed kite is listed as an endangered species in the United States. Their acrobatic skills are quite impressive. You can see this usually when they hunt for food. 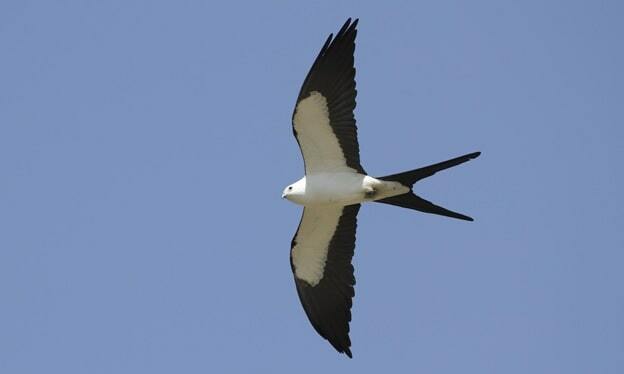 The main source of meals for the swallow-tailed kite is small insects, flying insects, snakes, lizards and more.